Alzheimer’s and dementia are complex brain diseases that change a person’s behavior, abilities, and sense of well-being. Understanding what’s causing challenging or confusing behaviors helps you respond without causing arguments. Minimizing conflict will make life easier and less stressful for both you and your older adult. The Center for Dementia Care at Seniors At Home, the in-home care division of Jewish Family and Children’s Services, helped us answer these four top questions about managing challenging dementia behaviors. 1. My older adult behaves so differently now. I feel like I don’t know who they are. How can I connect with them? Dementia may change behavior, speech, and interactions, but a person’s identity doesn’t change. Find new ways to connect with them, like listening to their favorite music, looking at photos of life accomplishments, or enjoying simplified versions of previous hobbies and interests. 2. I don’t understand my older adult’s behavior. They’re doing things that are frustrating me because they could get hurt. How can I make them stop? One family we worked with was frustrated by their mom’s constant pacing in the house. They had to follow her around to keep her from falling or hurting herself. Constantly following her was exhausting for the family and wasn’t solving the problem. What did help is finding the reason and emotion behind the behavior. In this case, their mom needed a purpose or a task to keep her occupied and reduce her need to pace. Because she could no longer structure activities for herself, we worked with the family to adapt some of her favorite activities so she could still participate in normal household activities. Because her family found activities that kept her engaged, their mom’s need to pace was significantly reduced. Important: Instead of telling a person with dementia what not to do, tell them what to do. Give clear instructions and modify previous hobbies or interests to fit their current ability level. 3. 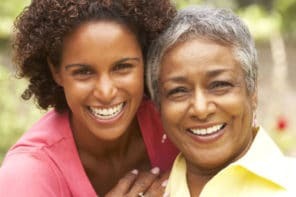 How do I get my mom to stop refusing food and help with necessary care tasks? The short answer is that you can’t force her. It’s important to remember that a person with dementia isn’t a child, so as tempting as it may seem to order them to eat their dinner, it won’t work and will likely make them more resistant. When someone with dementia refuses to do something, you’ll need to play detective and find out if there’s a valid reason behind their refusal – one they aren’t able to communicate. Often, refusal comes from fear or physical discomfort. If you can find the reason, you’re well on your way to solving the problem. Need to use the bathroom. Are feeling full from an earlier snack or beverage. Don’t know how to get started eating – too many choices of foods or utensils can be confusing. Can’t see the food well enough – make sure there’s a strong contrast between the food and the plate, like red tomatoes on a white plate. Another thing to try is a structured daily routine. 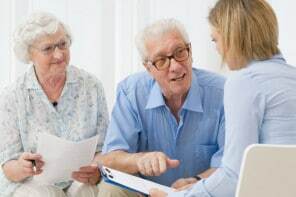 When different activities happen at different times each day, life can be unpredictable and frightening for your senior. They don’t know what’s coming next. After getting used to a regular daily routine, they’ll instinctively know what activity is coming next and are more likely to feel more comfortable, safe, and ready to participate. 4. My mom says she’s afraid of things that clearly aren’t real. How can I soothe her? The first thing to do is to treat everything she’s saying as if it were real because it is real for her. Her reality is no longer the same as yours, so it’s important that you adapt. Contradicting her or trying to use reason to explain away the fear will only make her more scared or agitated. After calmly agreeing with her, try to distract her with pleasant thoughts or activities. Looking at her favorite photos, eating a yummy snack, or drinking a warm beverage can help comfort and soothe her. These articles have great suggestions! Thank you so much.